It began with Honorio’s efforts to explore traditional methods of stabilizing wine and the idea of creating world class whites with his best grapes. 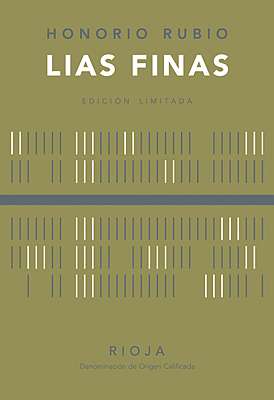 For “Lias Finas” Honorio took cues from the hundreds of year old traditions of long lees contact common to the top white wine appellations in France and the natural wine movement’s valorization of lost techniques. The result is a refined and well-structured white showing a kinship to white Burgundy, that at the same time retains its Rioja identity. The Honorio Rubio “Lias Finas” Crianza White 2011, is a bright, lucid straw color. The nose is fragrant with racy scents of lemon with touches of vanilla, minerals and leesy undertones. The attack is bright and lively with a core of lemon flavors accented by notes of lime pith, fresh apple and creamy lemon curd. The mid-palate is harmonious with lees-driven density and subtle richness, undergirded with chalk and stone minerality. The finish is long, smooth and elegant with lingering notes of fresh cut lemon zest. A striking re-styling of white Rioja. 2600 numbered bottles made. Aged 16 months on lees, 6 in French oak barrels (20% new and 80% 2nd & 3rd use) and 10 in tank.